The primary issue centered around Android's lack of proper support for Bluetooth Smart. To explain the situation briefly, Bluetooth Smart has two roles: Central and Peripheral. With the release of KitKat, Android gained support for the necessary Central role, but it's only with the release of Lollipop that it can handle Peripheral as well. UniKey has a blog post that goes into more detail. Now that Android Lollipop is rolling out, UniKey has pushed out a beta app that brings touch-to-open compatibility to the platform. Right now only a limited number of people can test out the feature, namely Nexus 6 and 9 owners, but the app will work with other Lollipop-toting handsets as they arrive. 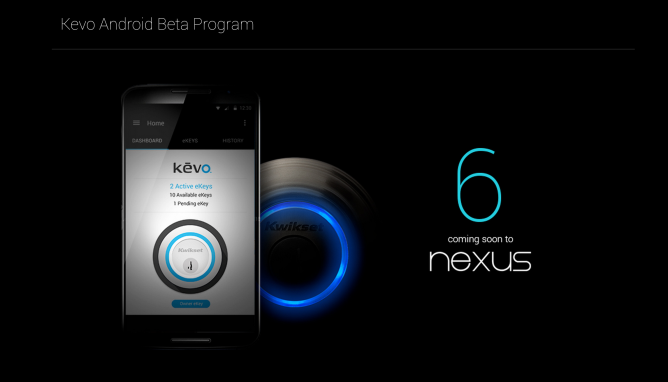 To get invited into the program, head over to the Kevo Android Beta Program website. There you can request access to the goods.